September 1st was a great day at Light Art Space. It started with the Desert Aunties (my closest female friends from Tucson) organizing the food and drink for the reception. At 3pm the Silver City Chamber of Commerce honored me with a ribbon cutting ceremony. The mayor was in attendance as were about 30 other well-wishers. Between 3pm – 7pm over 100 people attended the reception for the opening exhibition, Age & Seduction. Many friends, family and former students as well as my new Silver City community attended the lively event. It warmed my heart to be surrounded by so many supportive, loving individuals. The exhibit was well received, a few Age & Seduction books and prints were sold and many people were excited to see the transformation of the space. As the event wound down we celebrated the Late, Great Aretha by dancing to RESPECT. In two weeks the second gallery space will be finished and ready for the hanging of an exhibition of prints by The Arizona Print Group. 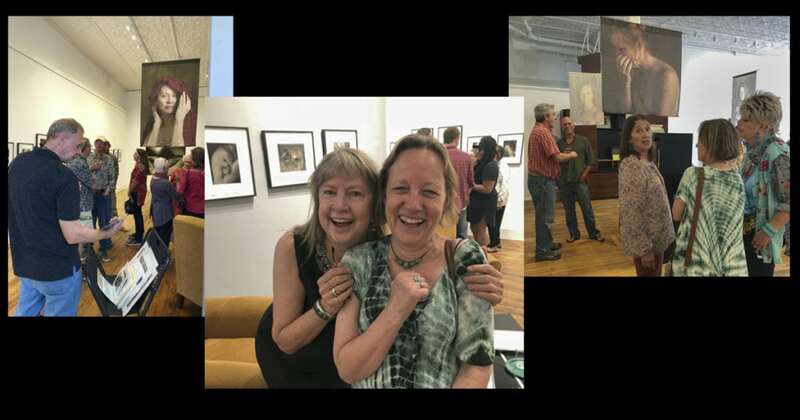 The Arizona Print Group (APG) is a professional organization of printmakers from around the state of Arizona who are united in the practice of hand-pulled, original fine art prints. The membership shows work locally, as well nationally, and many also teach and give workshops. The opening reception will be on Saturday, October 6th from 3pm – 7pm. In October work will begin on the front bathroom and office. 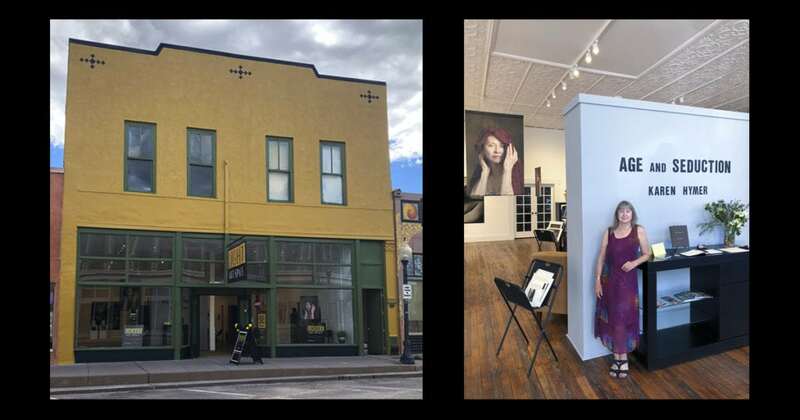 Next comes Phase two, total renovation of the back of the building, which includes the construction of darkrooms, studio space, storage and a rear entrance. I hope to be ready to offer workshops by April of 2019. We shall see! Stay tuned and come visit! Love, love, love the building’s new color. Sheer perfection. Your vision for the space is wonderfully defined now and you will be most successful and happiest in your new life. Karen, you deserve it!!!!! Love and best wishes. I hope to visit you and Flash next summer. I am proud to to have been a founding member of this vital group of artist printmakers. Wishing success and continued vitality to the organization of creative artists. Hi Karen. You’ve brought Silver City a beautiful exhibition space and it’s wonderful to be able to see your work displayed and to see so many people celebrating you and your creations. That’s a great picture of you and Kathy at the reception! Congratulations! I hope you’re now able to take some time to relax and enjoy your accomplishment. Congratulations Karen. This is an amazing adventure! What a wonderful, comfy space you’ve created, Karen! Makes me want to come and spend some time learning more from you. Hope I can do so before too long. Your new gallery space and webpage look absolutely fabulous, congratulations!